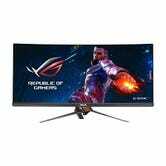 Asus’s ROG line of gaming monitors are the favorite among pro gamers and with good reason: they’re awesome. 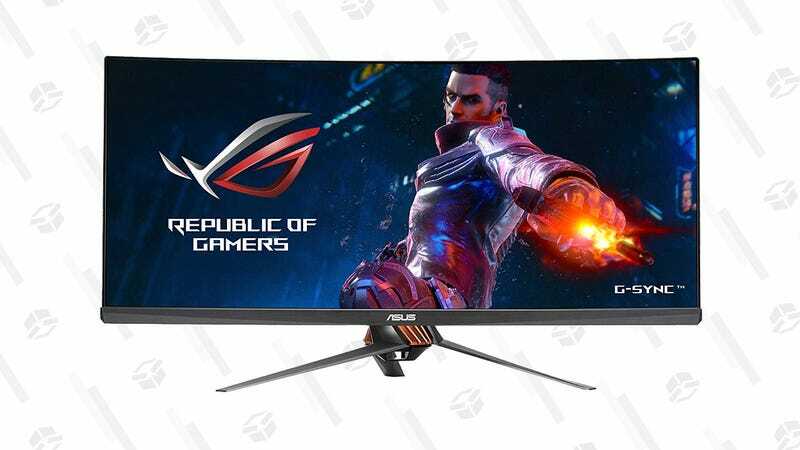 This ASUS ROG Swift PG348Q 34" monitor is packed with all the stuff you’d want from a gaming monitor. The PG348Q offers a curved panel (which is awesome for immersive gaming), uses G-Sync (which eliminates tearing), and a 3440x1440 resolution. There is one minor flaw: the 100Hz refresh rate. While 144hz is the gold standard for competitive gaming, it’s actually a rarity in ones this size. This current price is the lowest we’ve ever seen, and it’s unlikely to last. And yes, it’s nigh-$800 price may seem hard to swallow, but it’s ostensibly two monitors in one. So, rocket jump over and buy this thing before... well, it’s game over man. To game, or not to game, that is the question from reader Osmodious.